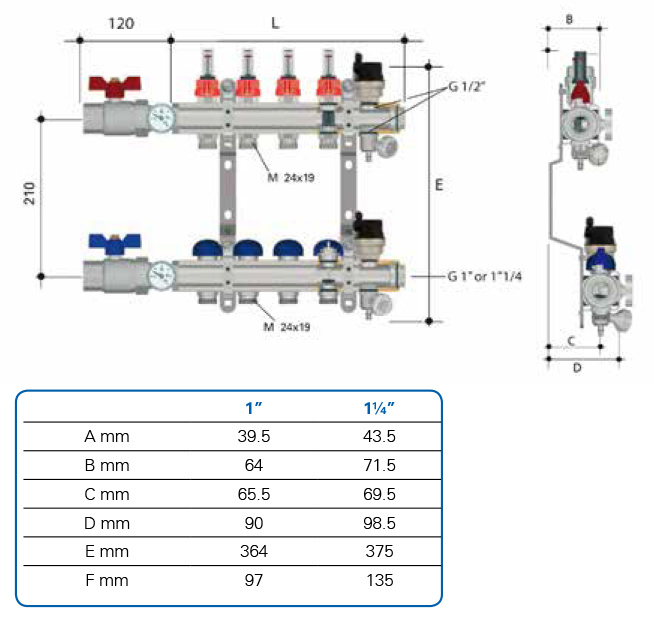 T2 Topway manifolds can be used for both Under Floor Heating and Wall Hung Radiator heating applications as a pre-assembled option or as single bars. The flow bar on T2 Topway FM has a red sleeved doubled regulating lockshield with a clear flow metering tube. 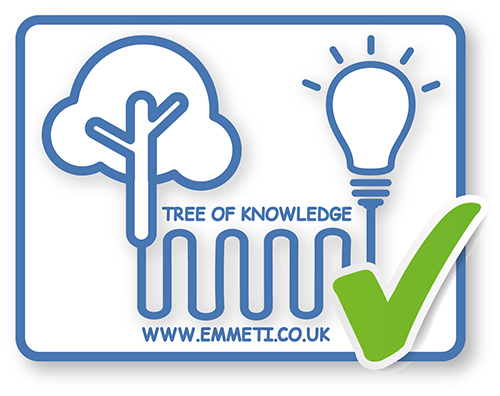 The integrated electrothermic valves on the return bar allow for electrical control of each circuit via electrothermic actuators, linked to wall thermostats. 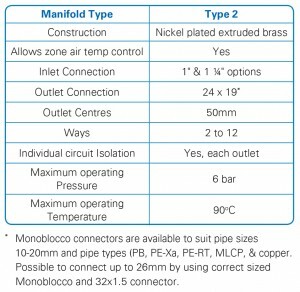 Pre-assembled manifold includes no.2 drain off/fill valves; no. 2 automatic air vents; no. 2 blanking plugs. All pre-mounted onto a double offset bracket.